As a Kankakee harpist, I would love to provide elegant harp music for your event! 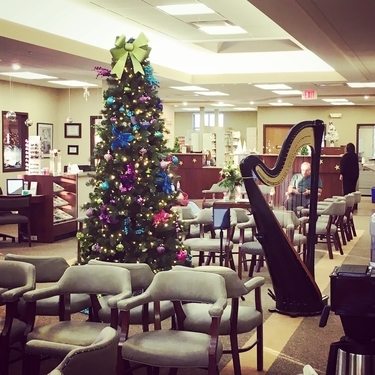 The picture below is from an afternoon when I provided Christmas music for the patients of Fisher-Swale-Nicholson Eye Center in Bourbonnais, Illinois. Contact me for a quote for events taking place in Bourbonnais (or anywhere in Kankakee and Northern or Eastern Illinois), or for more information.